Popocatépetl volcano is one of Mexico's most active volcanoes, located near the capitol Mexico City. It has been persistently active since 2005 and frequently active for centuries before that. 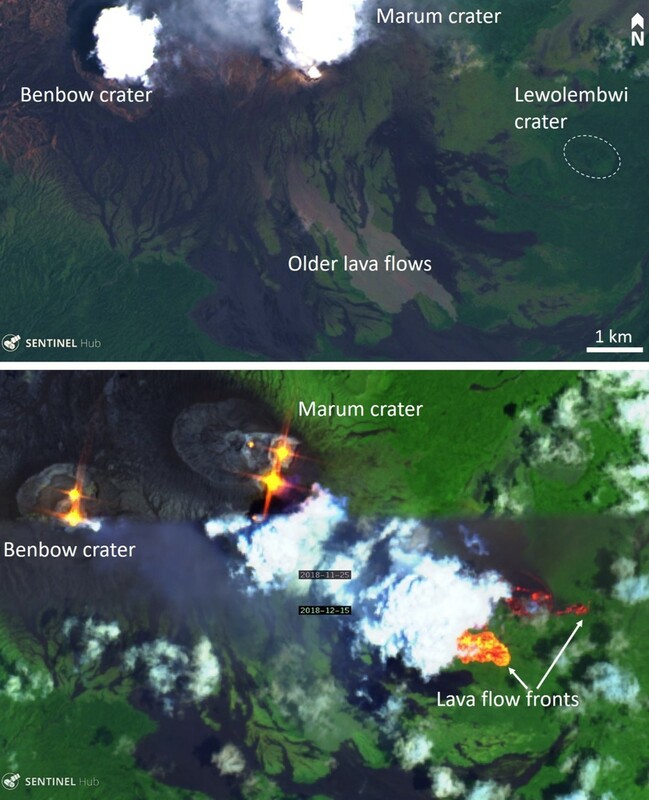 Activity frequently consists of gas-and-steam and ash plumes, incandescent blocks that scatter across the flanks, and frequent growth of domes in the summit crater. This report summarizes activity from March through August 2018 using information issued by CENAPRED (Centro Nacional de Prevención de Desastres) along with various satellite and webcam data. 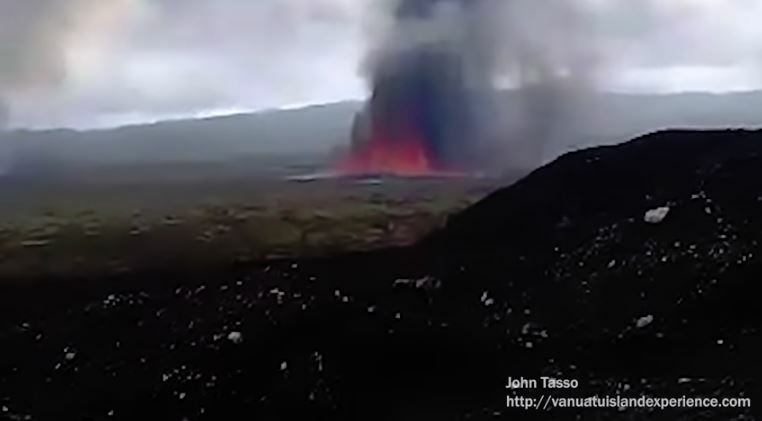 Throughout the reporting period, typical activity continued, consisting of frequent low-intensity activity and larger explosive events (figure 106), visible incandescence on cloud-free nights, elevated thermal energy in the crater, and sulfur dioxide measurements. Figure 106. Graph showing the number of low-intensity events (producing gas-and-steam and dilute ash plumes), and explosive events at Popocatépetl from March through August 2018. Data courtesy of CENAPRED. Activity during March 2018. Activity through March involved intermittent to continuous gas-and-steam emissions. 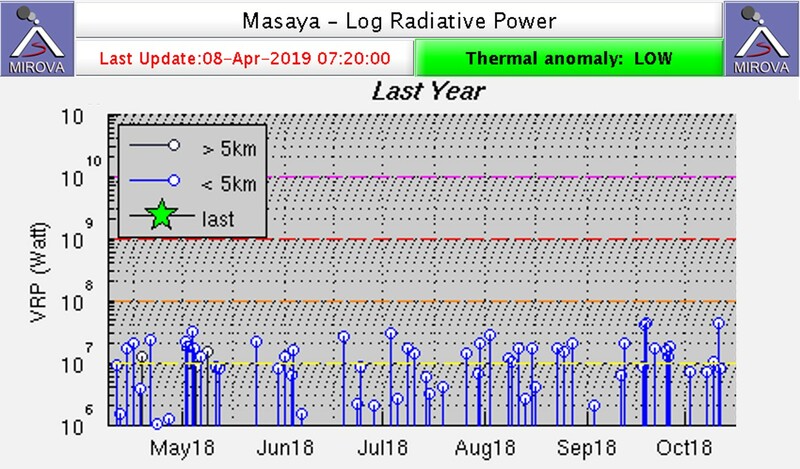 For the entire month, there were 2,812 low-intensity gas-and-steam events reported, sometimes with minor ash content; 36 explosive events also occurred. 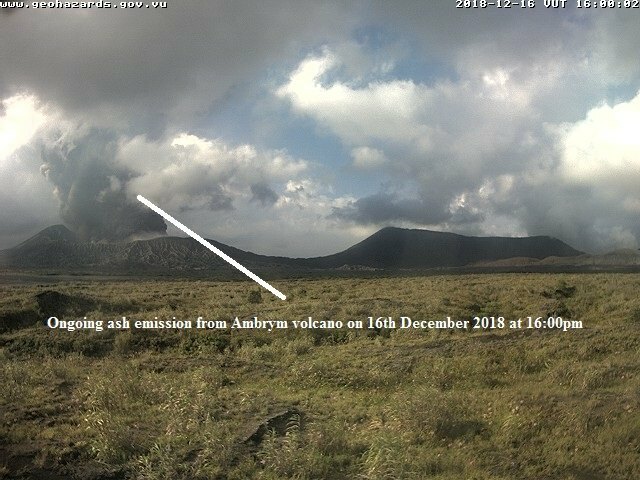 Explosions produced ash plumes up to a maximum height of 1.5 km above the crater. 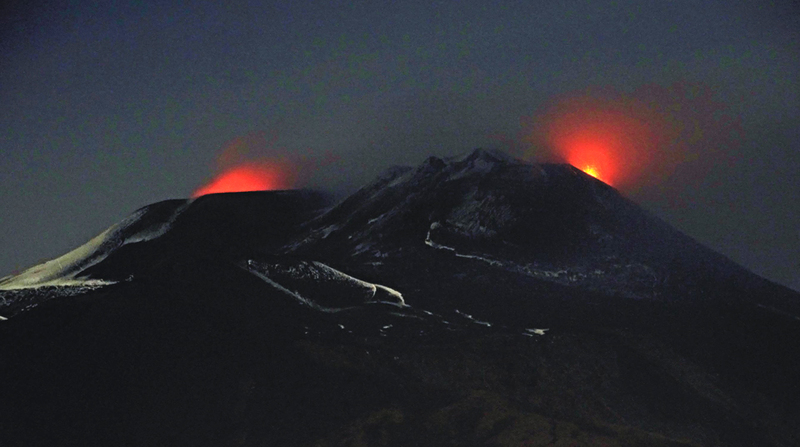 Incandescence was frequently observed at nighttime and showed greater intensity during periods of increased emissions from the crater. Emissions were directed towards the N, NE, SE, SSW, and NW. 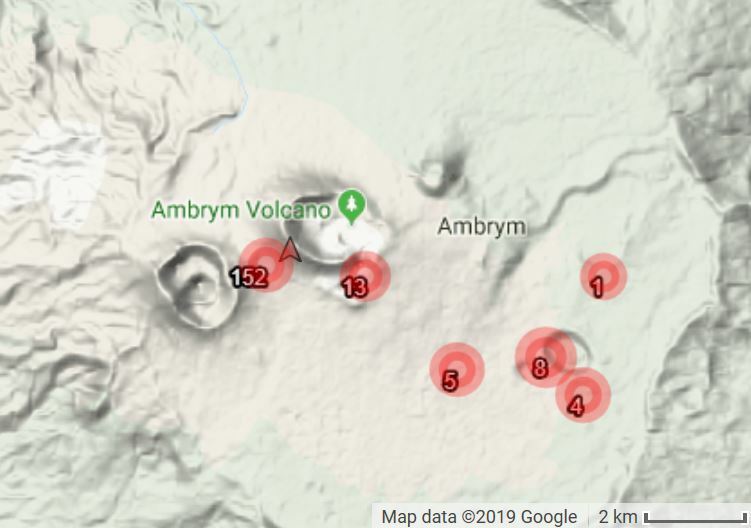 Volcano-tectonic (VT) earthquakes were common, with the largest being a magnitude 3 under the SE flank on 24 March, and a magnitude 3.2 located 18 km NE of the volcano on 31 March. 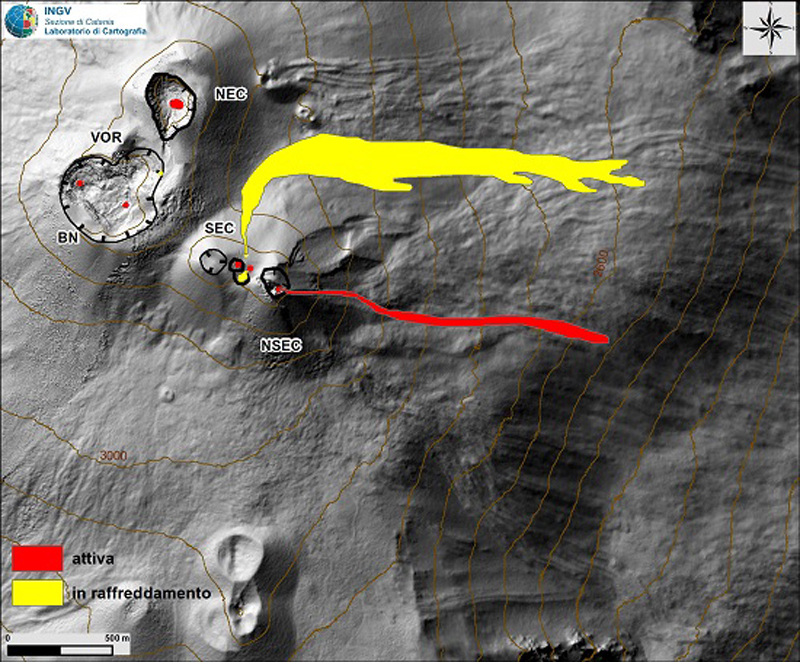 On 16 March an overflight of the summit by CENAPRED and the Federal Police determined that the internal summit crater was 320 m in diameter and about 100 m deep (figure 107). 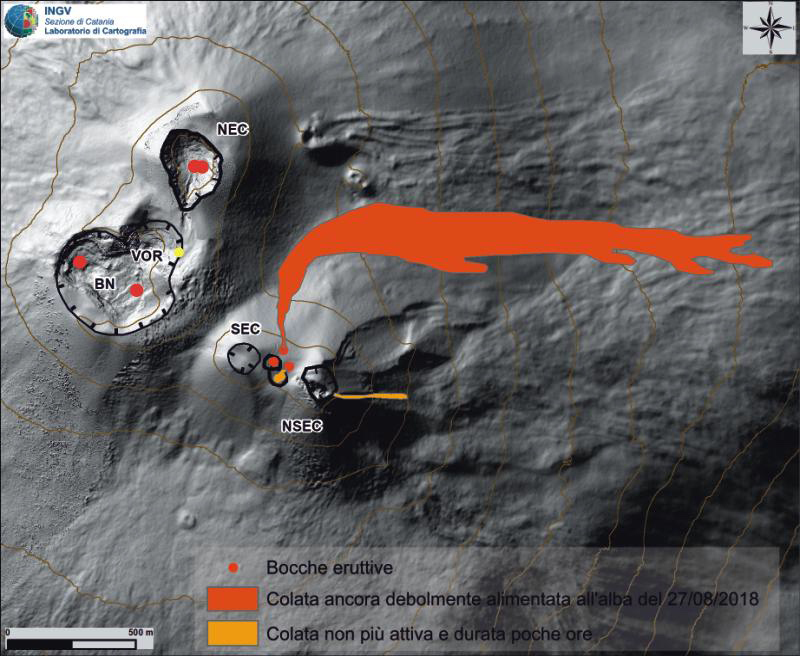 A small 30 x 50 m dome (number 78 since March 1996) was present in the crater and producing gas emissions. On the walls of the crater the remnants of older domes could be seen. Figure 107. 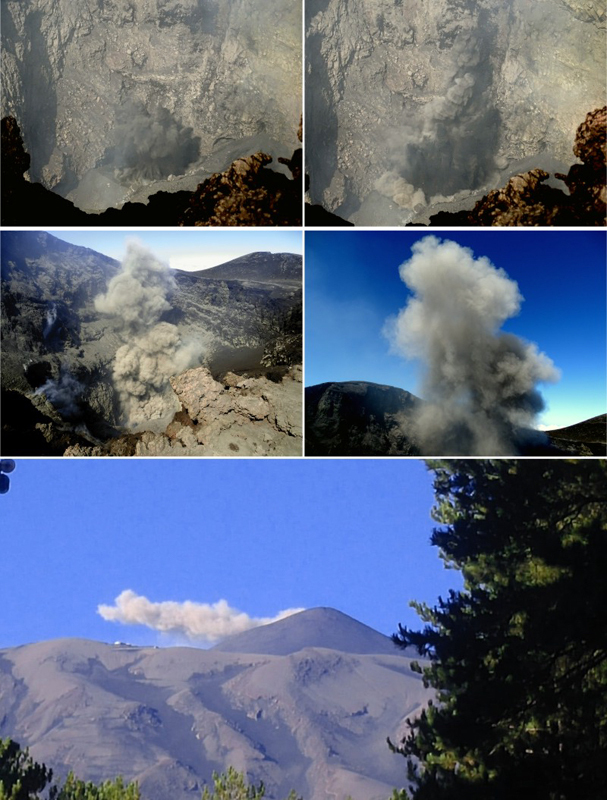 Photos of Popocatépetl volcano showing degassing and a small dome within the summit crater. Photos taken during an overflight on 16 March 2018 courtesy of Luis Felipe Puente at Protección Civil del Estado de México. 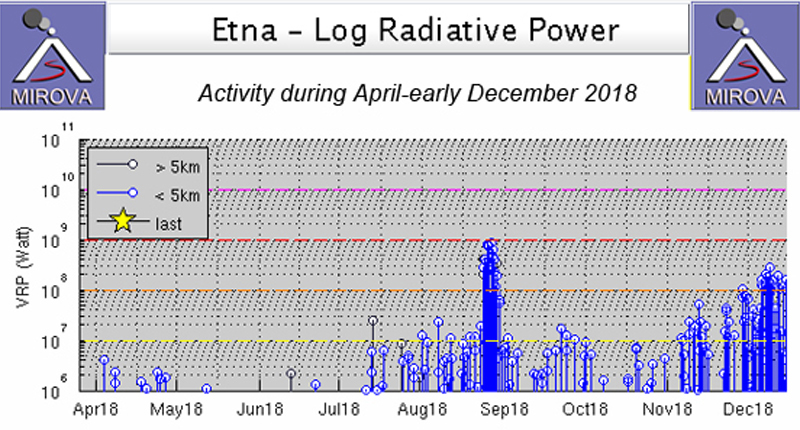 Activity during April 2018. Throughout April the frequency of gas-and-steam emissions was variable. Over the month, 1,986 low-intensity plumes and minor ash rose up to 1 km above the crater, and 53 larger explosive events that produced ash plumes up to 1 km (figure 108). On 10 and 11 April explosive events generated ash plumes to 1 km above the crater and ejected incandescent blocks out to 500 m from the crater. 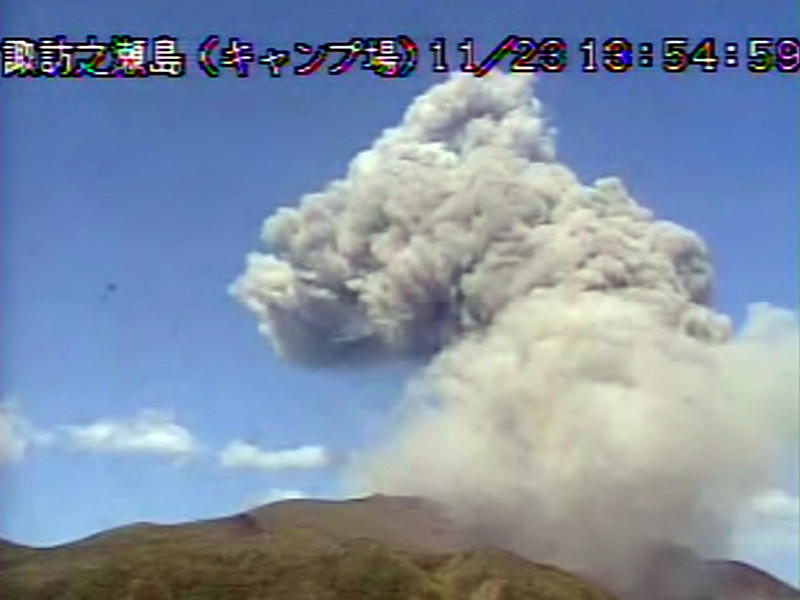 Another explosive event on 27 April produced an ash plume to 1 km above the crater. Harmonic tremor and frequent incandescence indicated that dome growth continued. Plumes were largely directed towards the NE, SE, or SSW. 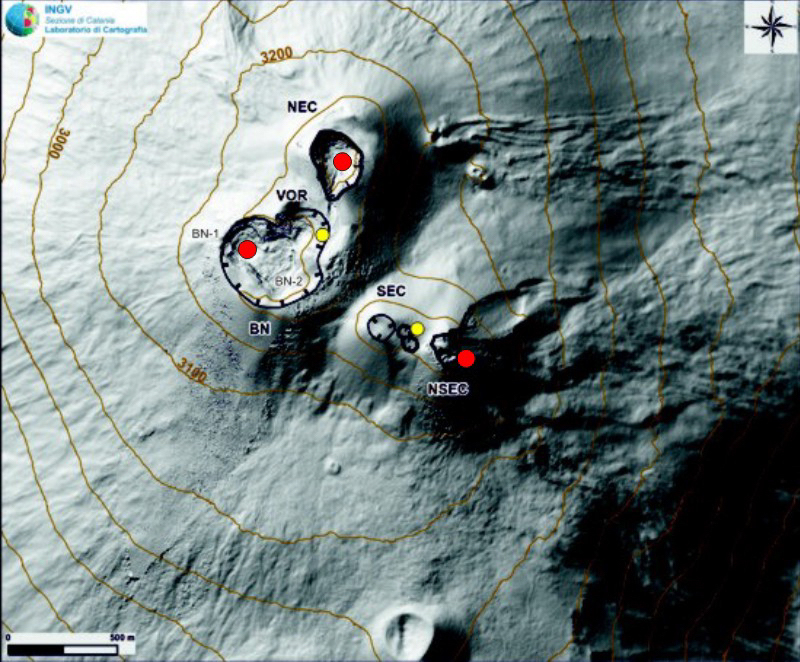 On 23 April three events ejected incandescent blocks to the E and SE of the crater. VT events were common with the largest reaching M 3.2 on 11 April. Figure 108. 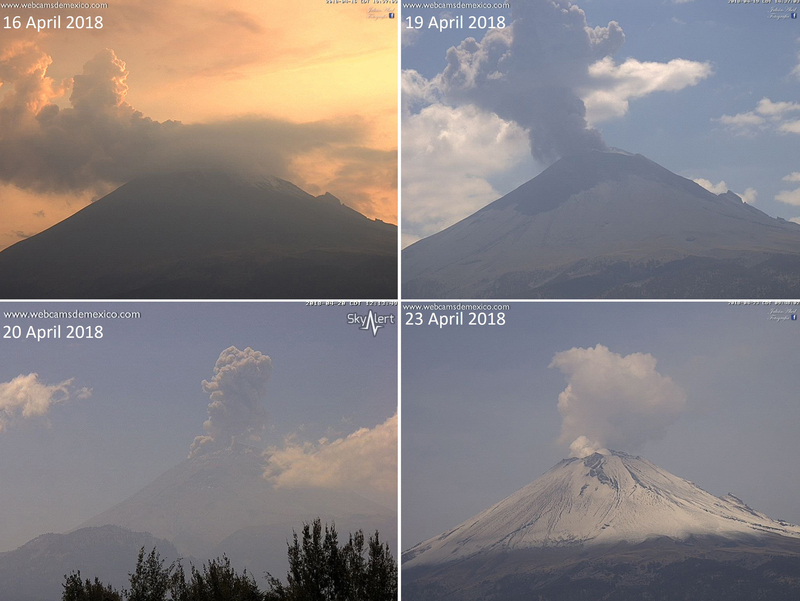 Gas-and-steam and ash plumes at Popocatépetl in April 2018. Webcam images courtesy of Webcams de Mexico. Activity during May 2018. 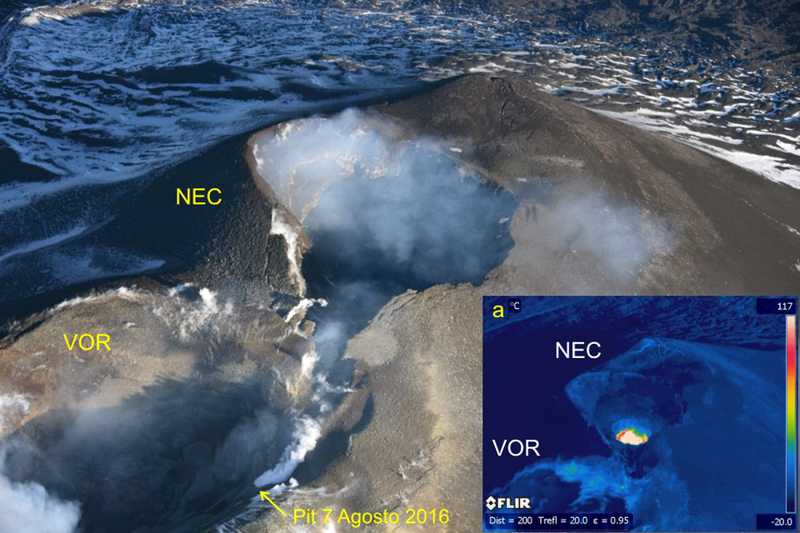 Throughout May, intermittent to continuous gas-and-steam emissions continued with the plumes reaching 1.2 km above the crater (figure 109). 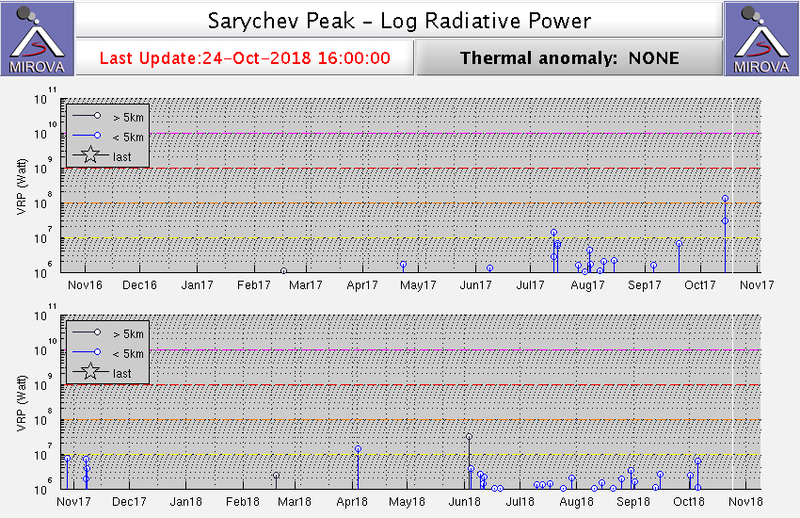 A total of 2,029 low-intensity events and 19 explosive events were produced. 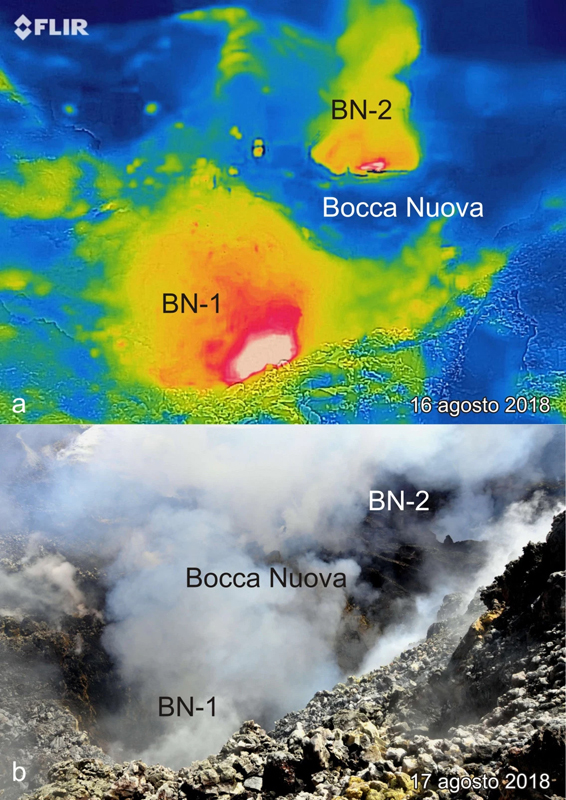 An explosive event on 3 May generated an ash plume up to 2 km above the crater, dispersing towards the NNE, and was followed by continuous emissions of gas-and-steam up to 1.2 km. 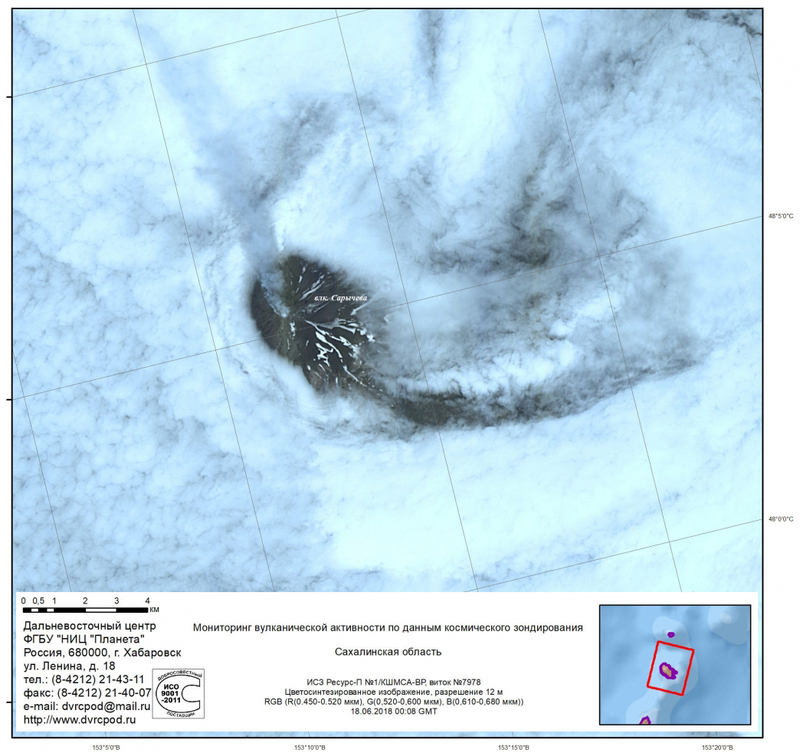 On 17 and 18 May three explosions produced ash plumes up to 2.5 km above the crater. On 25 May an explosion launched incandescent blocks up to 400 m above the crater, most of which landed back into the crater, and produced an ash plume up to 3 km that then drifted towards the S. Wind directions largely directed plumes towards the S, SE, and SW. A second explosion that day ejected incandescent blocks up to 300 m above the crater. Incandescence was frequently noted above the crater at nighttime throughout the month. VT events were common, with the largest event being a M 3.4 on 24 May. Figure 109. 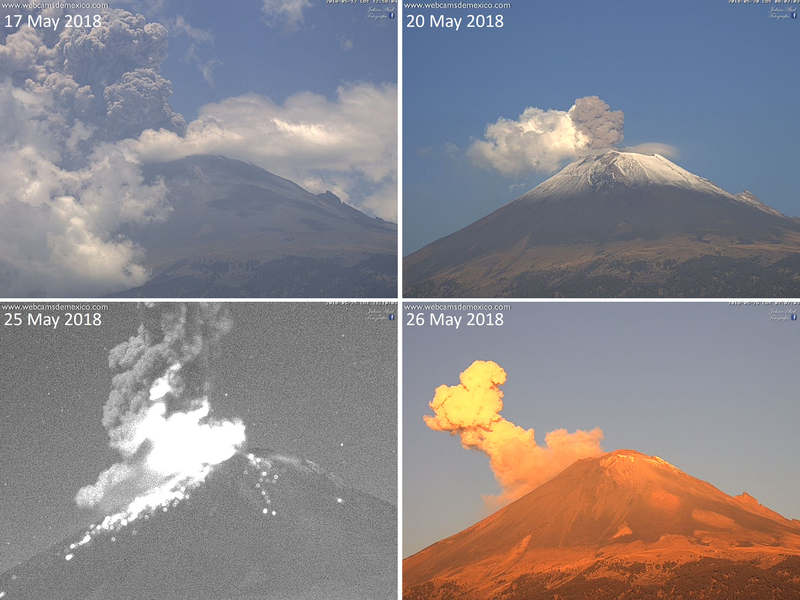 Ash plumes (upper images), an explosive event producing an ash plume and ejecting incandescent blocks onto the slopes (lower left), and a gas-and-steam plume (lower right) at Popocatépetl in May 2018. Webcam images courtesy of Webcams de Mexico. Activity during June 2018. During the month of June a total of 1,425 low-intensity and 45 explosive events occurred (figure 110). 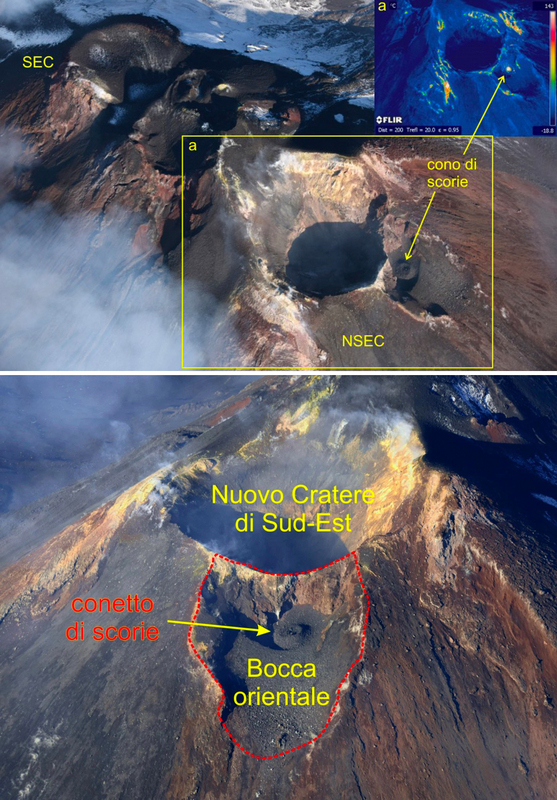 Gas-and-steam emissions were variable, reaching less than 1 km above the crater. Explosive events generated ash plumes up to 2 km on 1-2 June (figure 111), 2.5 km on 15 June, 2 km on 16 June, and 1 km on 23 June. 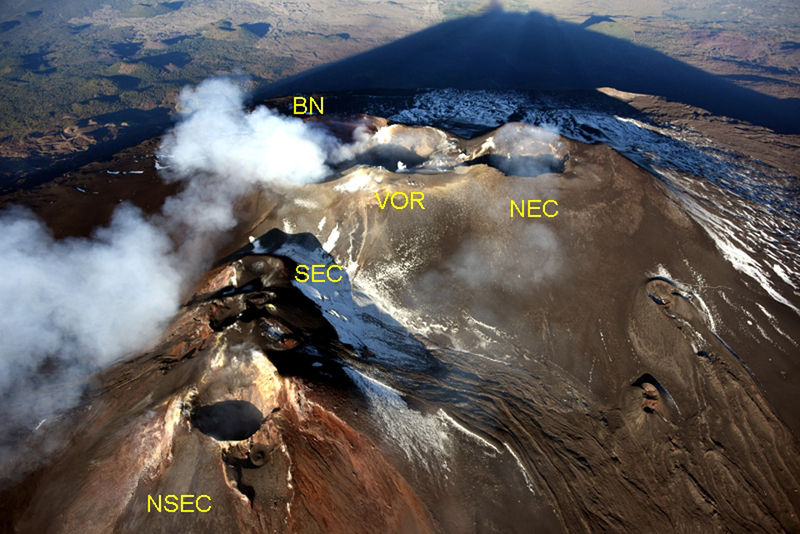 Ash plumes were largely directed towards the SSW, NE, and W. Volcano-tectonic (VT) events were common, with the largest event being a M 3.4 on 24 June. Incandescence was common at nighttime when clouds did not obscure the summit. Figure 110. 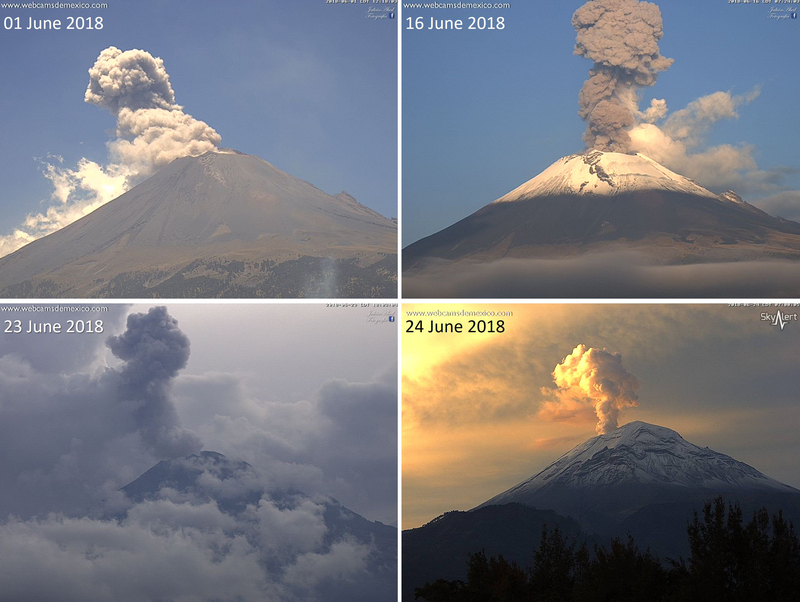 Gas-and-steam and ash plumes at Popocatépetl through the month of June 2018. Webcam images courtesy of Webcams de Mexico. Figure 111. Ash emission from the Popocatépetl summit crater on 1 June 2018. Top: Thermal image showing the elevated temperature of the crater. 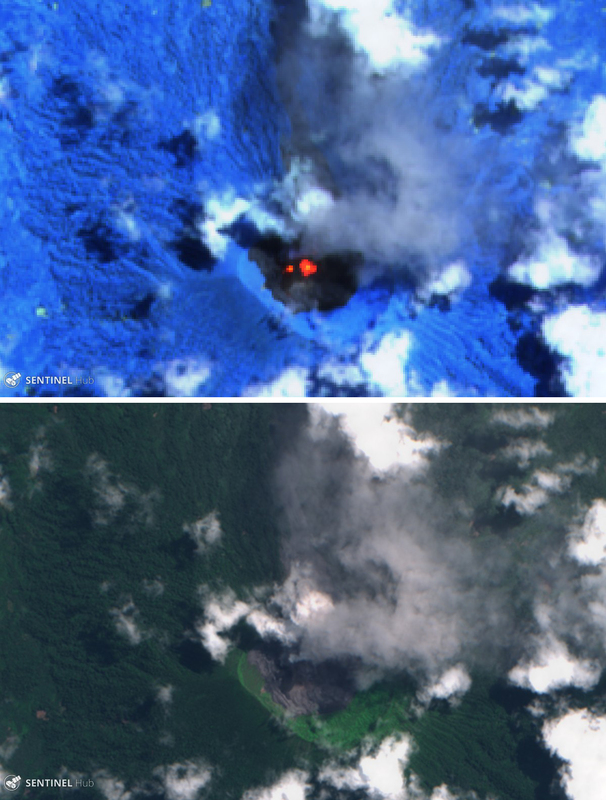 Bottom: Natural color image showing the brown ash plume. Thermal (urban) satellite image (bands 12, 11, 4) and natural color satellite image (bands 4, 3, 2) courtesy of Sentinel Hub Playground. Activity during July 2018. 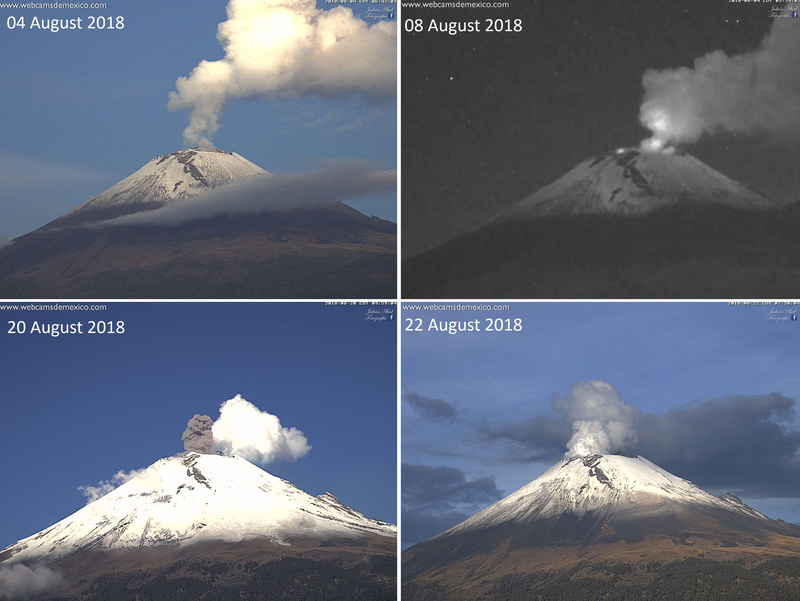 Through the month of July, Popocatépetl produced 959 low-intensity events, sometimes with dilute ash, and 55 larger explosive events (figure 112). 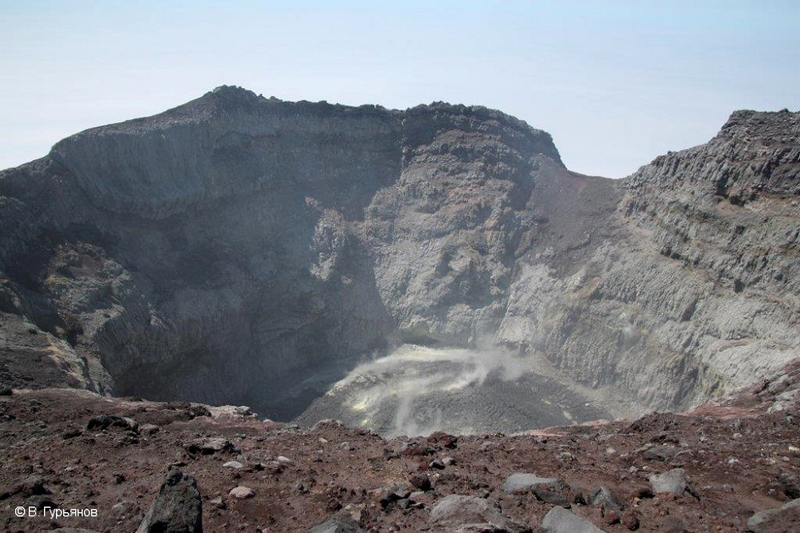 A series of events on 19-20 June produced a small amount of ashfall on the town of Amecameca to the west and explosive events ejected incandescent blocks out to 600 m from the crater. 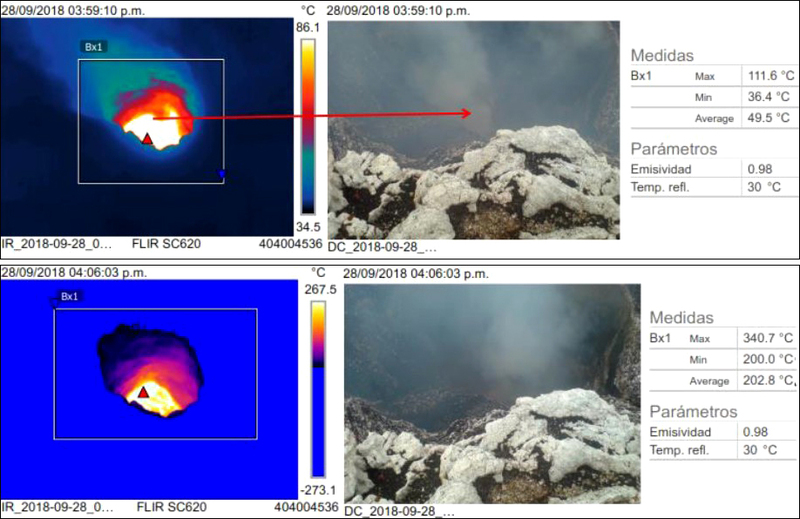 An increase in activity on 31 July ejected incandescent material onto the flanks and a 2-km-high ash plume that resulted in ashfall in the municipalities of Tetela del Volcán, Yecapixtla, Tlalnepantla, Totolapan, Cuernavaca, Tepoztlan, Huitzilac, and Tlayacapan in the state of Morelos, as well as in Amecameca, Acuautla, Ecatzingo , Ozumba, and Tepetlixpa, in the state of Mexico. VT events were common, with the largest being a M 3 event on 4 July. Incandescence was commonly visible above the crater. Figure 112. 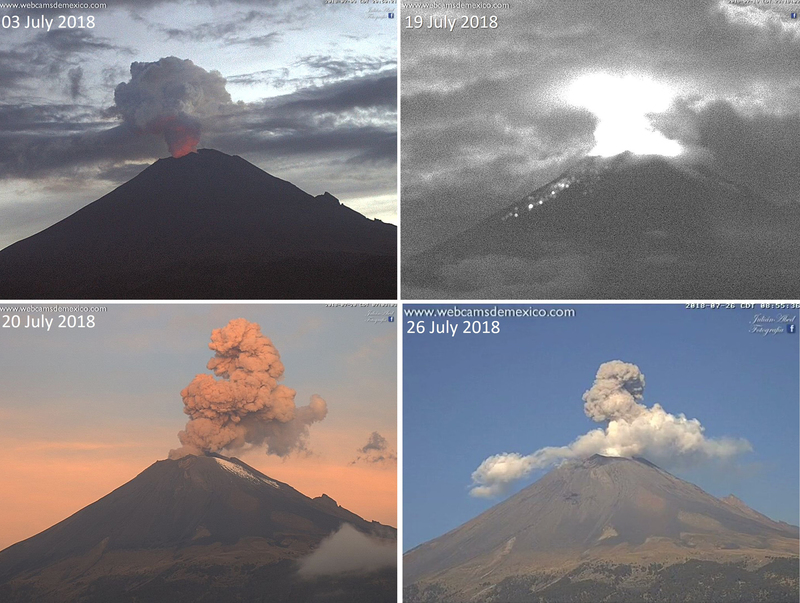 Webcam images showing activity at Popocatépetl during July 2018. Top left: a gas-and-steam plume with incandescence from the crater visible at the base of the plume. 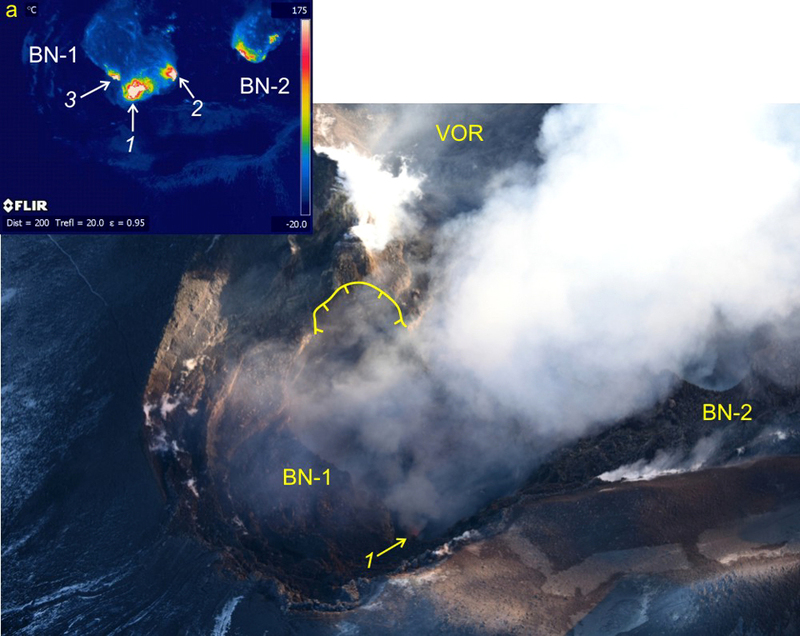 Top right: a nighttime explosion producing incandescence in the plume above the crater and incandescent blocks that have landed on the flanks of the volcano. Bottom left and right: dilute ash plumes. Webcam images courtesy of Webcams de Mexico. Activity during August 2018. 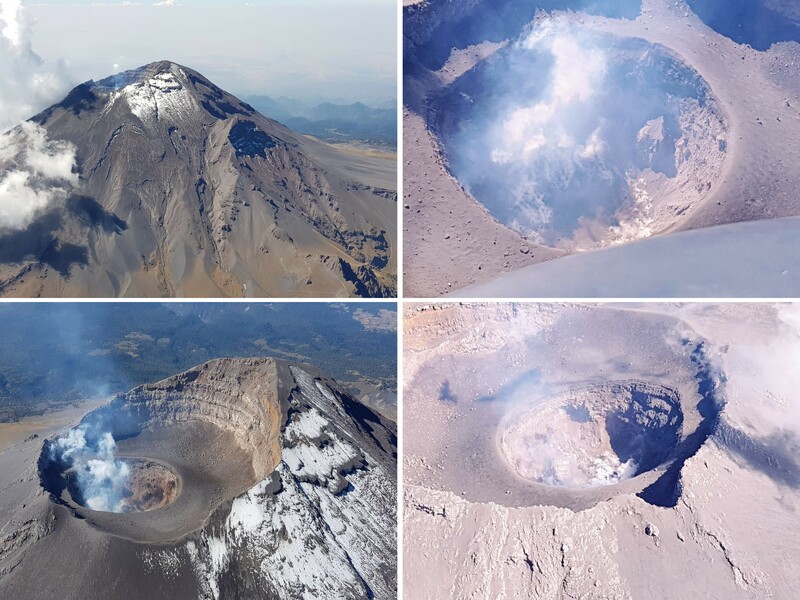 Throughout August there was a total of 2,262 low-intensity events and 70 larger explosive events at Popocatépetl. 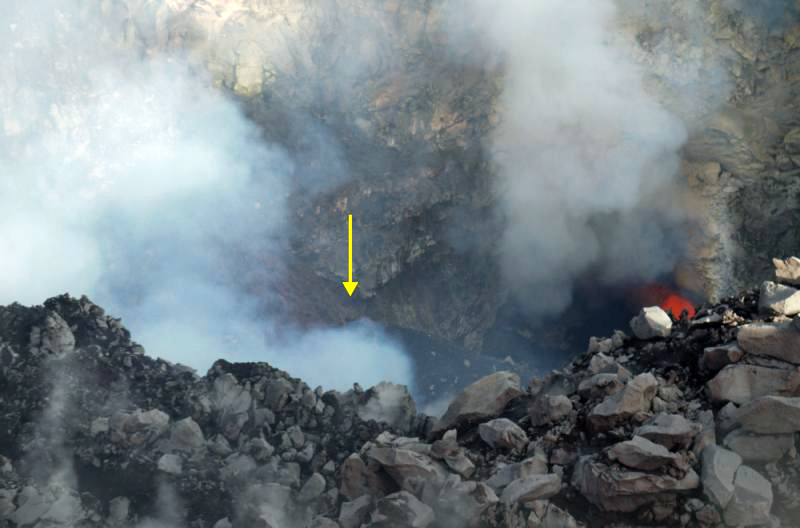 Gas-and-steam and some ash emissions reached 1 km above the crater (figure 113). 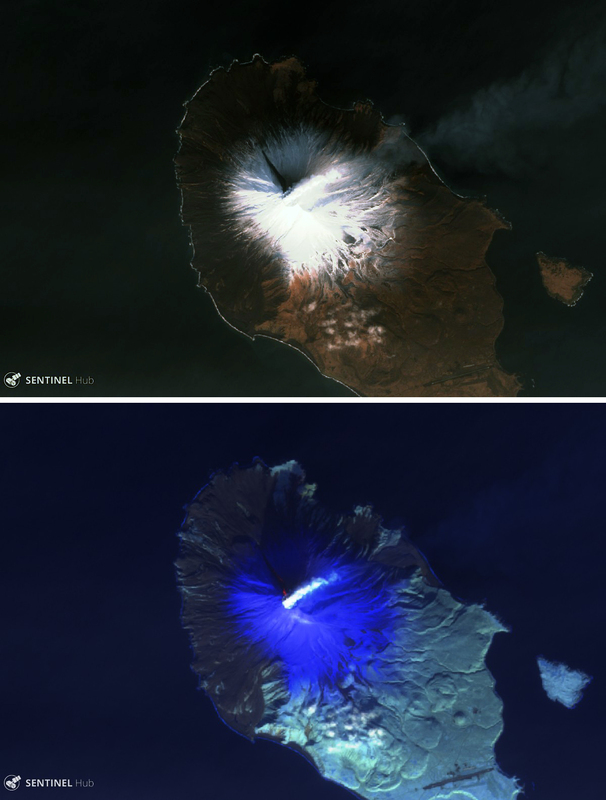 Incandescence was common throughout the month when the crater was visible at night. VT events continued with the largest on 14 August with a magnitude of 3. Figure 113. 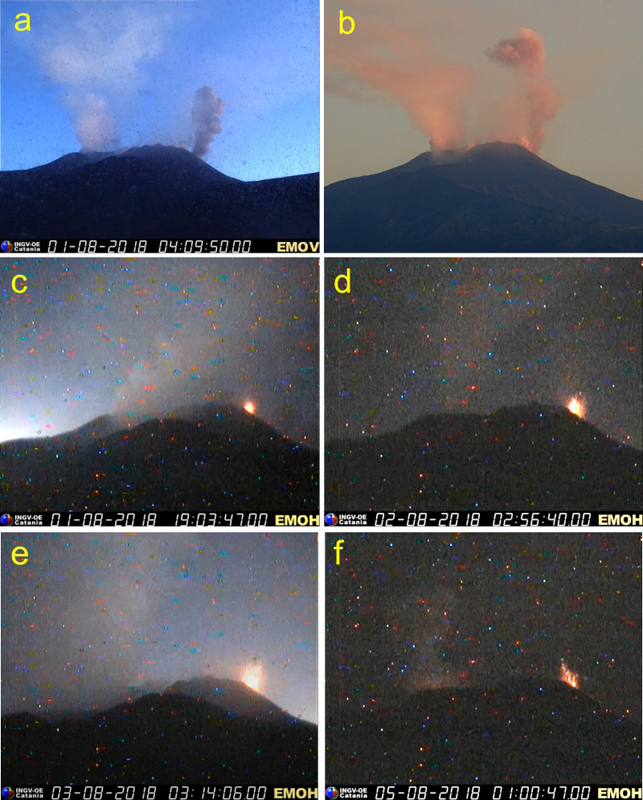 Examples of gas-and-steam plumes, nighttime incandescence (upper right), and an ash plume (lower left) at Popocatépetl through August 2018. Webcam images courtesy of Webcams de Mexico. Satellite data. 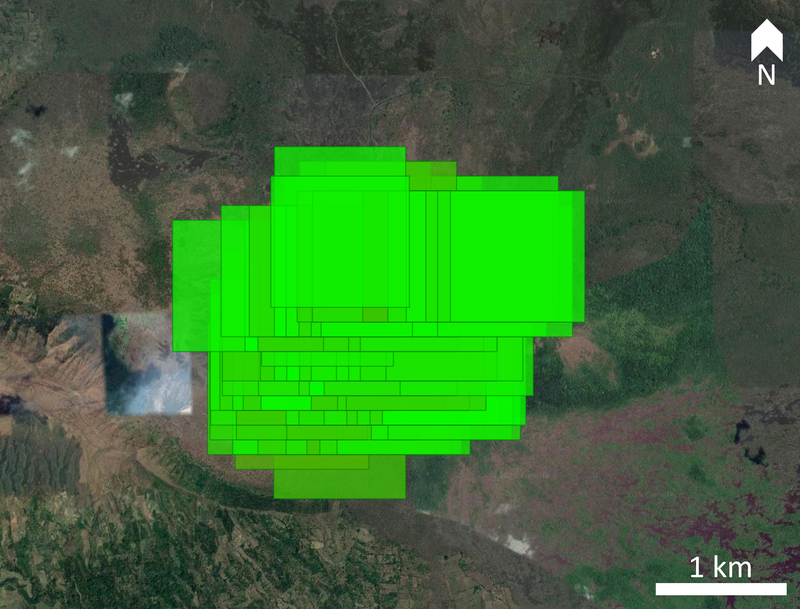 In agreement with frequent visible incandescence at the summit, elevated thermal energy was detected by satellites (figure 114). 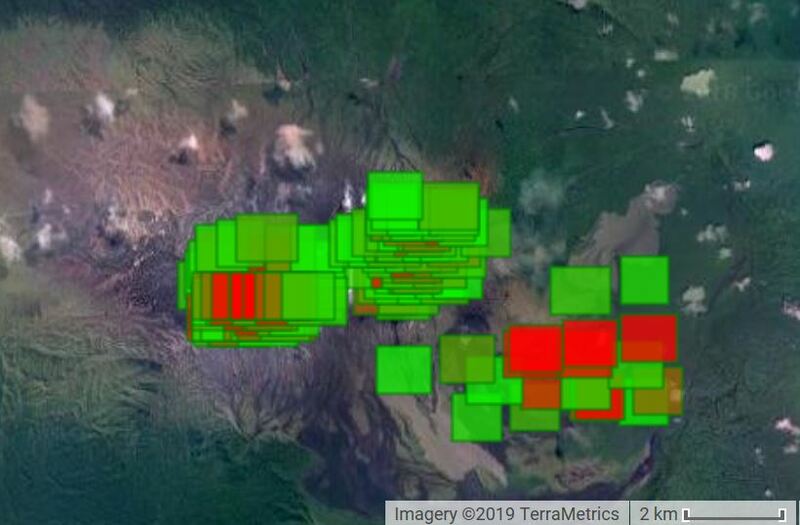 The MIROVA (Middle InfraRed Observation of Volcanic Activity) algorithm also detected frequent elevated thermal activity at the summit. 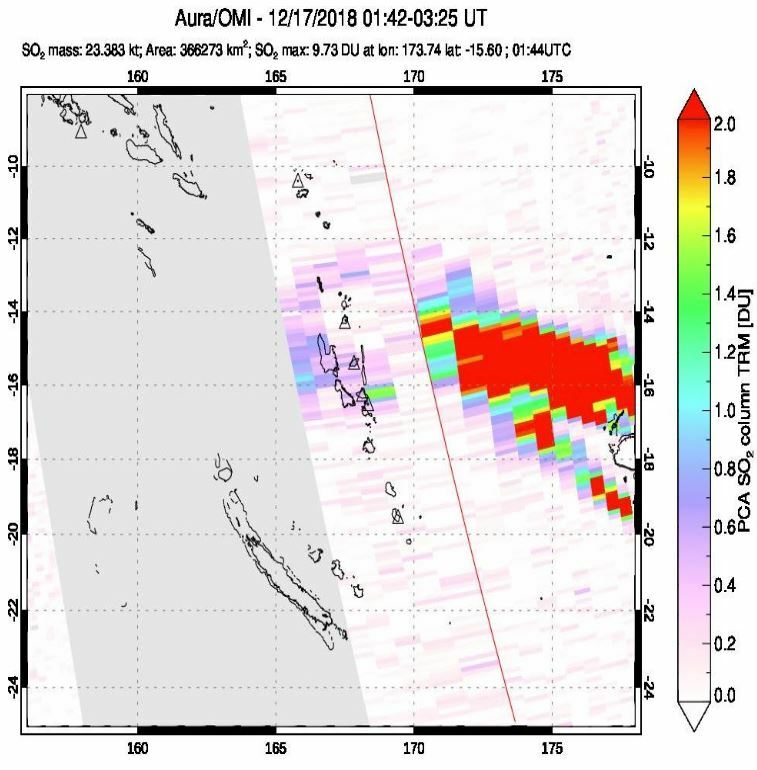 Sulfur dioxide emissions were sporadically large enough throughout the reporting period to be measured by the satellite Ozone Monitoring Instrument (OMI) (figure 115). Figure 114. 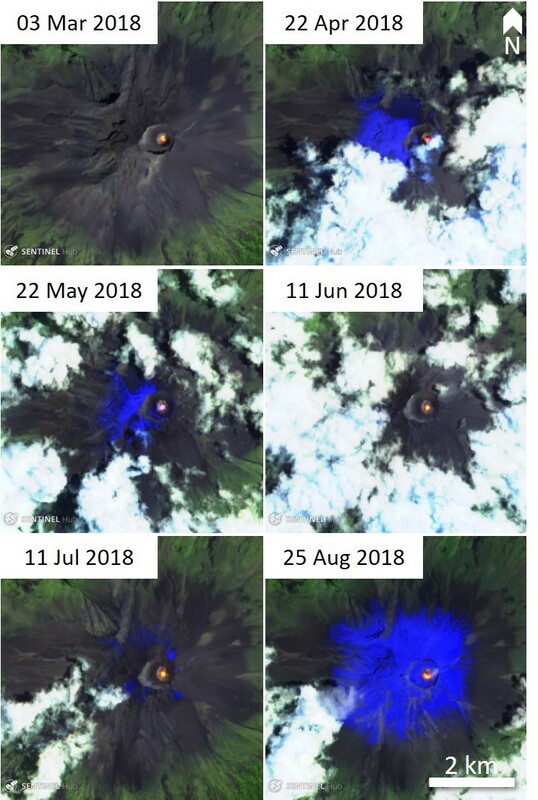 The Popocatépetl crater had persistently elevated temperatures (bright yellow-orange) in the crater from March through August 2018. Bright blue colors are snow on the volcano. Thermal (urban) satellite images (bands 12, 11, 4) courtesy of Sentinel Hub Playground. Figure 115. 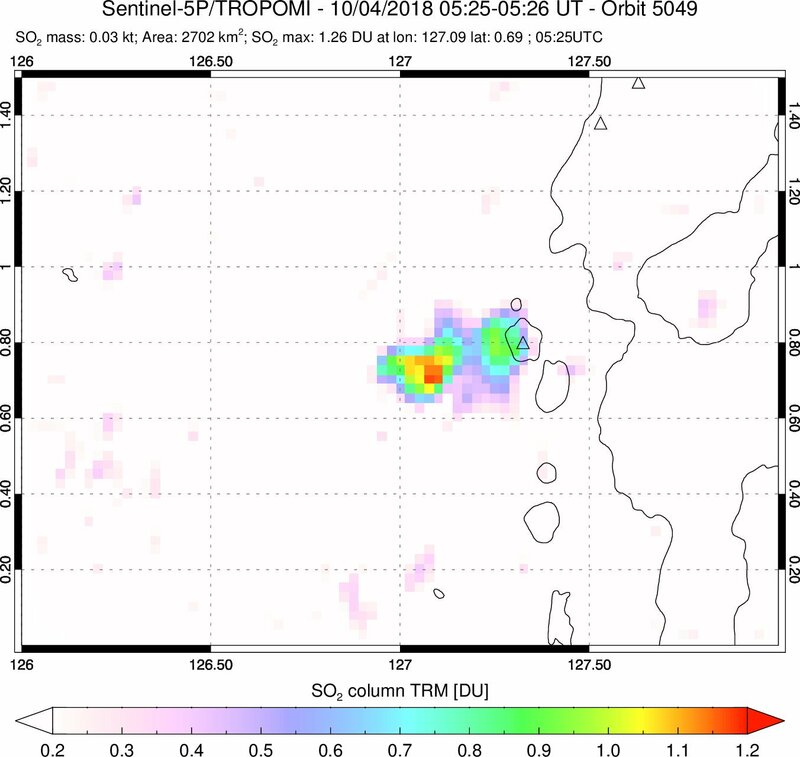 Sulfur dioxide measurements in Dobson Units (DU) by the Ozone Monitoring Instrument (OMI) on the AURA spacecraft over Mexico with Popocatépetl indicated in the upper left image. 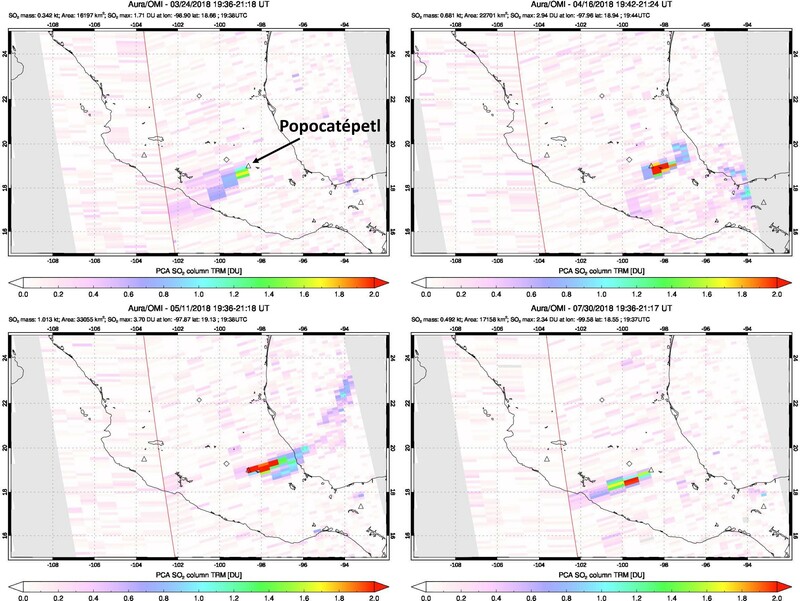 Sulfur dioxide is commonly detected over Popocatépetl and these images show some examples of the higher SO2 days on 24 March 2018 (upper left), 15 April 2018 (upper right), 11 May 2018 (bottom left), and 30 July 2018 (lower right). Date, time, and measurements are given at the top of each image. Courtesy of NASA Goddard Flight Center. Geologic Background. Volcán Popocatépetl, whose name is the Aztec word for smoking mountain, rises 70 km SE of Mexico City to form North America's 2nd-highest volcano. 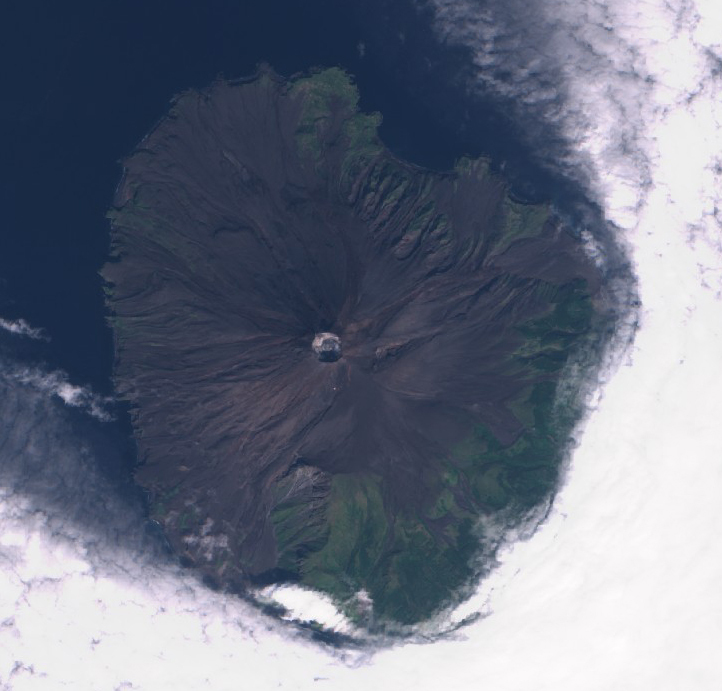 The glacier-clad stratovolcano contains a steep-walled, 400 x 600 m wide crater. The generally symmetrical volcano is modified by the sharp-peaked Ventorrillo on the NW, a remnant of an earlier volcano. At least three previous major cones were destroyed by gravitational failure during the Pleistocene, producing massive debris-avalanche deposits covering broad areas to the south. The modern volcano was constructed south of the late-Pleistocene to Holocene El Fraile cone. 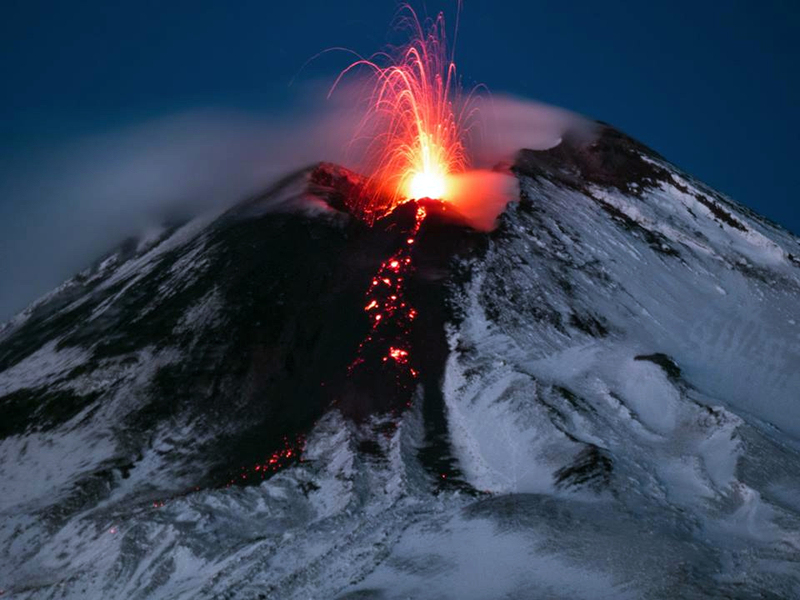 Three major Plinian eruptions, the most recent of which took place about 800 CE, have occurred since the mid-Holocene, accompanied by pyroclastic flows and voluminous lahars that swept basins below the volcano. 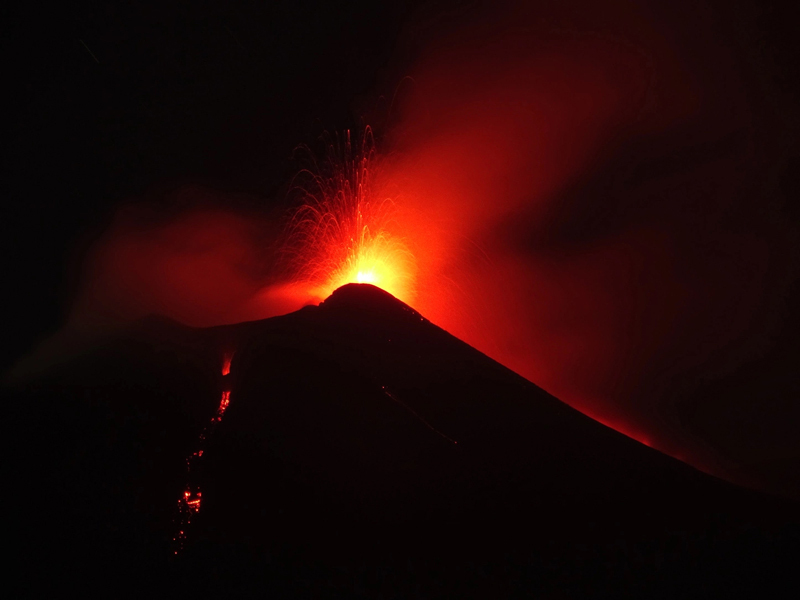 Frequent historical eruptions, first recorded in Aztec codices, have occurred since Pre-Columbian time. Information Contacts: Centro Nacional de Prevención de Desastres (CENAPRED), Av. Delfín Madrigal No.665. Coyoacan, México D.F. 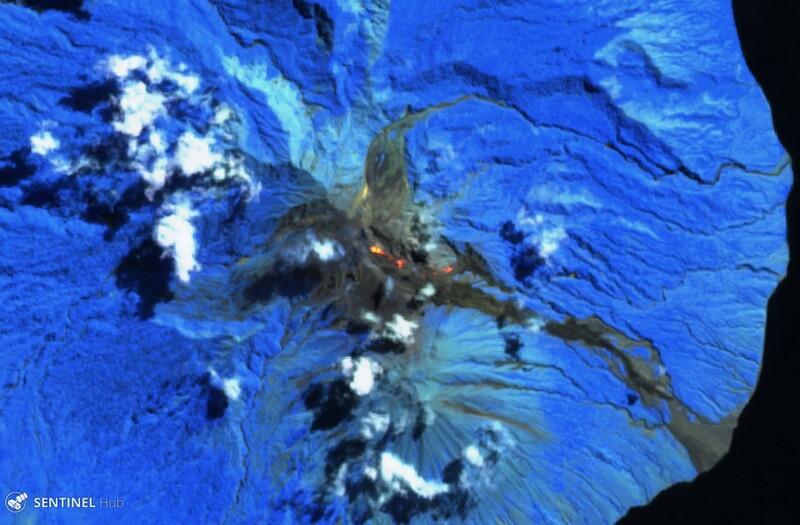 04360, México (URL: http://www.cenapred.unam.mx/), Daily Report Archive http://www.cenapred.unam.mx:8080/reportesVolcanGobMX/BuscarReportesVolcan); Sentinel Hub Playground (URL: https://www.sentinel-hub.com/explore/sentinel-playground); MIROVA (Middle InfraRed Observation of Volcanic Activity), a collaborative project between the Universities of Turin and Florence (Italy) supported by the Centre for Volcanic Risk of the Italian Civil Protection Department (URL: http://www.mirovaweb.it/); NASA Goddard Space Flight Center (NASA/GSFC), Global Sulfur Dioxide Monitoring Page, Atmospheric Chemistry and Dynamics Laboratory, 8800 Greenbelt Road, Goddard, Maryland, USA (URL: https://so2.gsfc.nasa.gov/); Webcams de Mexico (URL: http://www.webcamsdemexico.com/); Luis Felipe Puente, Protección Civil del Estado de México, Lic. Adolfo López Mateos s/n, Primer Piso, Las Culturas, 51355 San Miguel Zinacantepec, Méx., Mexico (URL: http://cgproteccioncivil.edomex.gob.mx/, Twitter: https://twitter.com/LUISFELIPE_P, Twitter: @LUISFELIPE_P).